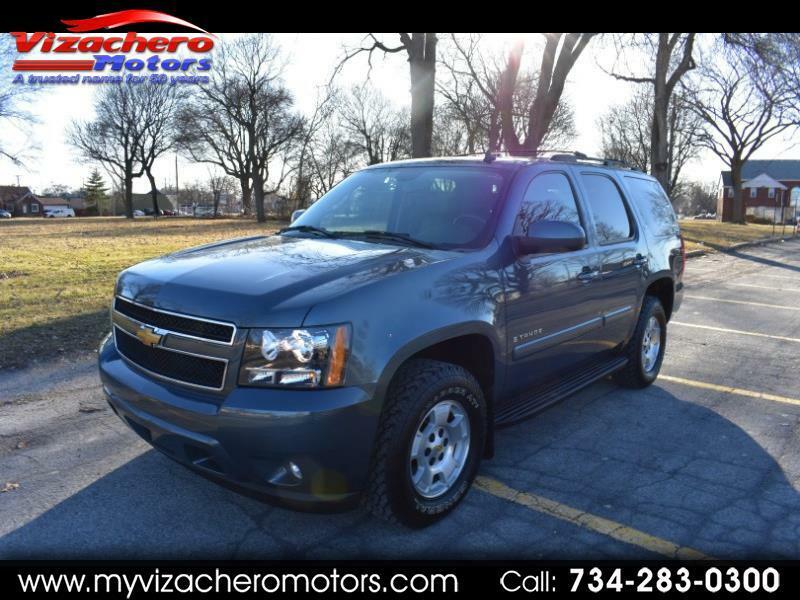 BEAUTIFUL BLUE GRANITE TAHOE - 4X4 - 3RD ROW SEATING - LT MODEL - ADJUSTABLE PEDALS - AM FM CD STEREO - BLACK LEATHER INTERIOR - INTERIOR WOOD GRAIN - POWER MOONROOF - FRONT BUCKET SEATS WITH A SECOND ROW BENCH & A THIRD ROW BENCH - AUTO START - ALUMINUM WHEELS - ALL TERRAIN TIRES & MORE !!!! - RUNS, RIDES & DRIVES PERFECTLY !! - A REALLY NICE TRUCK - A MUST SEE AND DRIVES - LOOKS GREAT - NON SMOKER - NO PET ODOR - - WE ALSO OFFER GUARANTEED CREDIT APPROVAL FOR ALL - PLEASE BUY WITH CONFIDENCE...OVER 58 YEARS OF AUTOMOTIVE SALES AND SERVICE ...OVER 6000 VEHICLES SOLD !!! - HOPE TO SEE YOU SOON!!! !